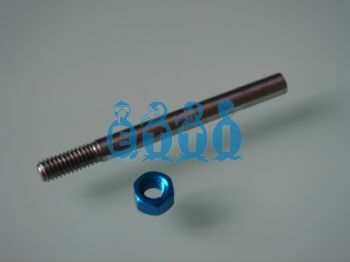 Propeller Shaft, 4mm Shaft for M4(4mm) Threaded Propellers. 53mm in total length. Shaft is bored for .127-.130 flex cable. .127-.130(3.2mm) Flex Cable and assembly.